The Gettysburg Address, as it might have been delivered by Donald Trump. You’re welcome. It was a long time ago – I don’t think anyone can even remember, but I can remember, I have a great memory, I’ve got the best memory ever. These guys, they made the most special thing, really, really special. Where everyone was free and everything was great, just the way I’ve made America, I really, really mean that. Now we’ve got these people – I don’t like these people, let me tell you, they’re really awful, they said, “Hey Trump, you’ve got small hands,” and so I went after them, I really did, I sued them, and what did they do? They decided they wanted a fight and I said, “Okay, we’ll see who’s still here in a few years,” and see, we’re still here, on this battlefield. It’s a yuge battlefield, and it’s really, really, great, it’s so special. See, we’ve built this cemetery, so how big it is? It’s so special. And these guys – we’ve got the best guys – they tell me, “Hey Donald, give us someone who can lead us and we’ll beat these rebels,” and so I made things happen – it’s what I do – and boom, look, we’ve got this big, big win. These guys died winning, and I’m sure that makes their families just so, so happy, all this winning. It’s really great that we can be here to make this place special because of all the winning they did. But really, we can’t make this place any more special than they did by winning so hard, unless it’s to build a brand new Trump Towers – Gettysburg – that’s right ladies and gentlemen, that’s right, right here, right where you’re standing, we’re going to build this yuge tower, and oh my goodness, it will be so special, so big. You’ll just get sick from how big it is. You say to yourself, “Hey, I wonder if anyone will remember this place.” And now you don’t have to wonder anymore because you’ll be able to see it from miles and miles away, that’s how yuge it will be. We’ll make those rebels remember this place where they lost, where they became losers. I really hate losers. I hate them so much that we’re going to keep on winning, just to show them how much of losers they really are, that’s what we’re going to do. What these guys did – and they’re just the best, so special – well, we’re going to make sure that what they won for is going to be kept alive forever. Know what I’m going to do? I’m going to build a wall, a yuge wall, really, really yuge, all along the Mason-Dixon Line, and know what? I’m gonna make Jeff Davis pay for it, I really am. That guy’s such a loser, it’s why I hate him so much, and I think it’s what the guys that won here would really want. I’m just going to keep this great country really great, and yuge, just like me. We’re going to keep winning until we’re so tired of winning that you’ll have to thank me for making everything so great. My government is going to be around for a while, so get used to that winning. Oh hey, look, we’ve got someone yelling about issues over there. What’s that? Slavery? Throw that guy outta here, get him out, this is about winning, and he’s a loser. And in case you’ve forgotten the original. To maybe cleanse the palate. Enjoy what you just read? Really? Are you sure? I tried to print this out and it did not do well. Missing words, skipped sentences. Is there a better way to print this. I went into my print function. Any help out there. It was a fantastic speech and I did share on face book with my own comments…which I’m sure will affend some. But it won’t be my first or my last time of doing that. Oh. Their. God. This is so awrsome. It’s just the awesomest thing I have ever read. Ever. And I really mean that. Mr Trump I’m not sure wether it’s illiterate or buffoon that comes to mind first but you sure rate top billing. 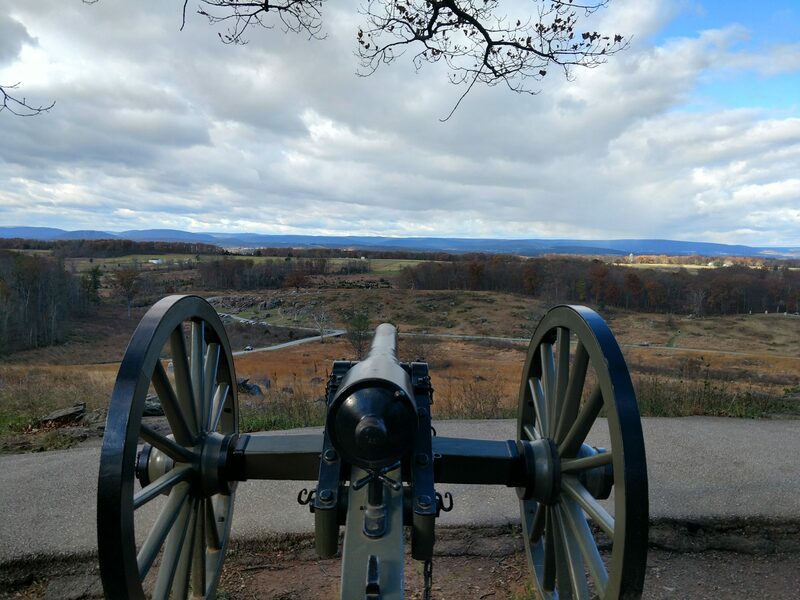 TRUMP THROWS DOWN THE GAUNTLET AT GETTYSBURG ! ….and hits a GRAND SLAM . Tastes change. Just think of what they said about Lincoln’s speech at the time. In short, he was criticized for being unable to give a proper speech.